Sprint recently released its first quarter 2011 earnings, and based on improving average revenue per user (ARPU) and subscriber addition trends, we believe that the outlook has improved for the company. Its statements suggest solid data ARPU growth: As a result, we have raised our outlook for Sprint (S). 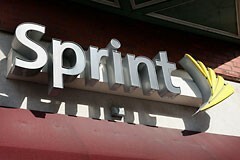 Sprint primarily competes with AT&T (T) and Verizon (VZ) in wireless and land line businesses. Postpaid ARPU benefited sequentially from higher monthly recurring charges, primarily related to the $10 premium data add-on charge which we have applied to all smartphones activated since January 30. ....[Smartphones] reached an all-time high of 73% of quarterly CDMA device sales and 54% of the base. Increased smartphone penetration and improved pricing will help data ARPU. The data business is critical to Sprint because of its high expected growth and good margins. In our revised estimates, the mobile Internet business constitutes about 46% of Sprint's stock value. We expect data ARPU to continue solid growth and reach about $24 per month by end of our forecast period. Our price estimate for Sprint stock stands at $5.84, roughly 10% ahead of market price.